How Long Does it Take to Make Fine Art Licensing Sales? So, you're ready to start building your fine art portfolio for the book cover licensing market? Well then you must be wondering how long it takes to begin making sales. Well, let me tell you a little story to help answer that question. Once upon a time, in another life, I worked at a digital marketing agency. During that time I helped everyone from local plumbers to national car rental companies advertise their businesses. You see, they would come to us for help with their Search Engine Optimization so that potential customers could find them via Google, or for help making their Google AdWords campaigns more cost effective. And no matter how big or small the business, one question that everyone always had was "how long before I start seeing results?" The answer I always gave? You guessed it: it depends. The same thing goes for you when you're licensing your fine art. You see, there are two main factors that go into whether your work sells in the book cover licensing market. The first factor is the quality of your work. Remember how we talked about how your work has to fit the market? Then the second factor is being found by the right people. Because no matter how great your work is, if the right people aren't finding it then it will never be licensed and it will never turn into the income stream you were hoping for. That, my dear, is why digital marketing agencies exist in the first place: to help the right customers find businesses. And yup, you guessed it, it's also why fine art stock agencies exist as well. They are kind of like the digital marketing agency of the licensing world - they help create the bridge from the customers (in this case the book publishers) to the business (that would be you!). However it takes more than being a part of a stock agency to really begin to make sales. It's the same as with the businesses that I used to work with: it takes more than a website to drive business. You see, in the licensing world it is a bit of a numbers game. And then depending on the agency, it is also a bit of a Search Engine Optimization game as well. When you're represented by an agency, your work is represented in a pool of other talented artists. Some of these artists have 1,000s of images that are represented in a library. So in order to be found in a sea of results, you have to have enough relevant images for the queries that book publishers are searching for. For example, let's say that a book publisher wants to purchase an image of vintage jewelry for an upcoming memoir. If they go through an agency like Trevillion or Arcangel, they'll type in their query and other search terms that might be relevant. When I pretend to be said book publisher and I type in vintage jewelry, I get over 700 results on Trevillion and over 5,000 on Arcangel. Did your head just spin a little bit? So in order to have your images show up in results, the more images you have the more you will be seen. Now, don't get me wrong! This is not a quantity over quality thing. Instead this is a quality-quantity thing. You want to have enough quality images to get your work in front of the right people. In fact, when I first started licensing I was told by veteran photographers not to expect my first sale before I hit 100 images in my portfolio. Now, I did get many sales before I hit that number because I was researching the market and understood what publishers were looking for. But it was good for me to have those expectations so that I didn't give up too early in the process. 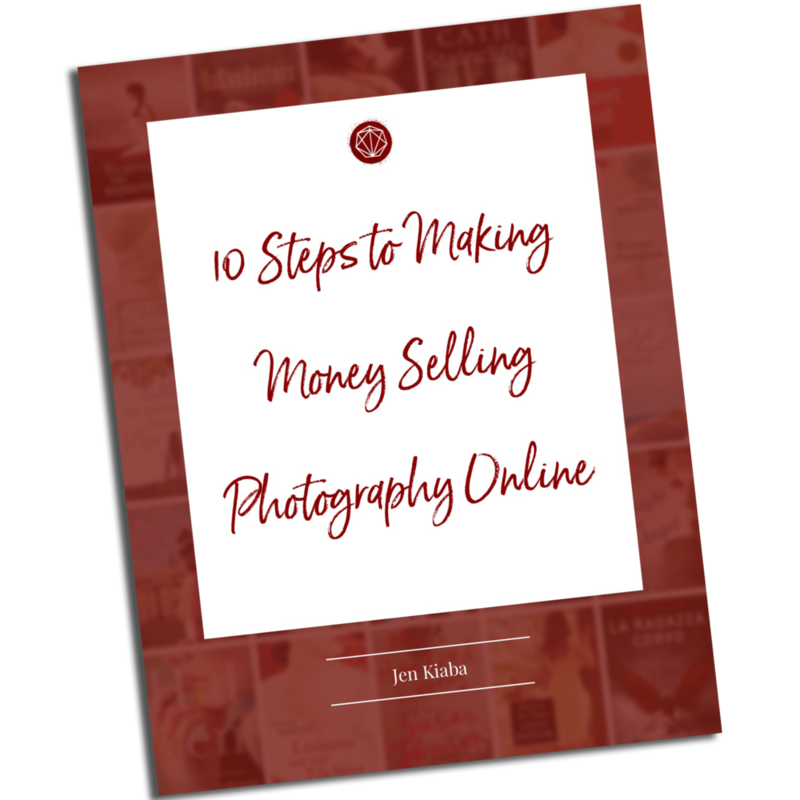 Because it helped me to understand that in order to develop an income stream from licensing my photography, I had to put in a significant amount of work before I expected to see returns. Remember how I said there was a bit of Search Engine Optimization happening as well? Well, depending on the agency you go with, there may or may not be keywording services. For Arcangel, I have to keyword my images myself. With Trevillion, they do it for me. And those keywords are how publishers find your work. If those 5,000+ images on the Arcangel library hadn't had the keywords vintage and/or jewelry in them, I would not have been likely to find those images. Now, depending on how the agencies have designed the search features on their sites, they might sort the image results by the most recent submissions. For you that means that submitting regularly and often can help keep you in the top of the results. Much of these same principles can apply to your own website if you decide not to go the agency route. The easier your portfolio is to find on Google, and the easier your site is to navigate, the more people will be able to find your work and reach out to you about licensing. Curious to know more about Search Engine Optimization (SEO) for licensing? In fact, Week 7 is all about doing keyword research, SEO with licensing in mind and how to get found. But a great place to start is by making sure that you have relevant information about all of your images on your site - and if you're working with an agency to make sure that your images have relevant keywords on all of your images. 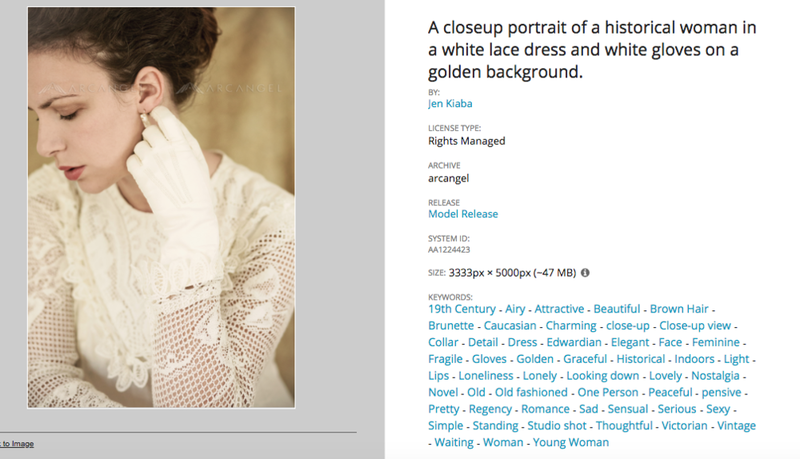 When you're uploading images to your website use the file names, your captions and your alt text in your file data to help search engines understand what your image is about. Photoshop and Lightroom both make it easy to embed a lot of this information right into your file. Here is an example of where you can input File Data in Photoshop. Some agencies will even let you use that file information on their sites to help your images get found. Because remember: it may be a numbers game but if you play smart you can be in it to win it. Still feeling a little overwhelmed? That's ok. If you're looking for a guide to help you understand what is selling in the market and how to build up your portfolio, then I have just the ticket for you! This 20 page ebook also deep into each theme. Plus I have provided questions or suggestions to help you dive deeper and create something that is true to your voice and your art. So if you would like to save yourself time while giving your licensing portfolio a jump start, I want to invite you to check out Licensed to Thrill for only $27! If you're not ready to dive into portfolio building, that's totally ok too. When you're just beginning your licensing journey it can take time to build up your portfolio in order to make sales. Be patient, submit often and do your homework so that you know what is selling and what publishers are searching for.